As a Kansas native, growing up in the small rural town of Clay Center, KS, I went on to attend Kansas State University in Manhattan, KS. I graduated with a BS in Business, my major being Marketing. After college, I was in Management for Osco Drug. Tired of the retail grind, I opted for a Claims position with State Farm Insurance, starting in Kansas City, MO, briefly, then transferring to Springfield, MO. My husband, Scott, also in Claims with State Farm Ins., and I transferred to Tucson, AZ then Chandler, AZ, and subsequently to Albuquerque, NM with State Farm, in claims operations in 2000. September of 2005 my husband was selected to open a State Farm Agency in Rio Rancho, NM. At the same time, I opted to leave State Farm and continue my love of helping people by entering into the real estate business. We have 2 boys, ages 18 & 15. We have since returned to Arizona & are so glad to be back. The metro area has grown by leaps & bounds. We are enjoying all of the amenities that the City of Phoenix & the East Valley communities have to offer. There are countless things to enjoy about the beautiful state of Arizona. 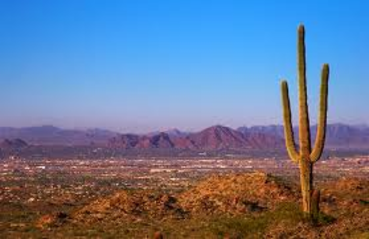 From the enchanting mountain ranges that surround the Phoenix Metro area to the mountain areas in Northern Arizona, it is a wonderful place to live. You, like my family, can enjoy outdoor activities all year long. There is so much beauty to see and so many ways to enjoy it; hiking, mountain biking, running,skiing, sledding & even white river rafting.